Library Research Guides: How Are We Doing? *Note: Ref Chat figures are already counted in the Total column. The Ref Chat column is the breakdown for this category. We saw 425 appointments (178 more than we saw in September), 54 walk-in consultations, and 156 students via class visits. Total, the Writing Center served 603 students. 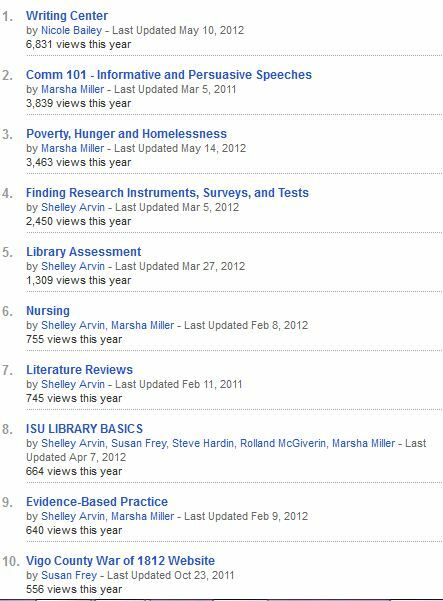 Online work is primarily Blackboard or LibGuides. We are up to 70 LibGuides. Well, you can tell the Fall semester is in full swing!